Developed by Schwinn’s world class trainers, the Class Tamer™ is everything you would expect from these leaders and more. Very simple to use it has many features that will turn your great class into a fantastic one. 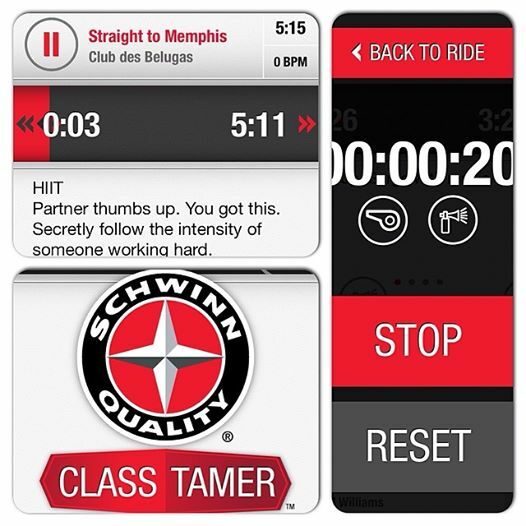 The Class Tamer™, available on ITunes for free, is an all encompassing music player for group exercise professionals. The Class Tamer™ is incredibly easy to use as you create and save ride playlists by accessing your songs, and playlists directly from your iTunes account. It allows you to add, in large and easy to read font, up to four scrollable notes to each song, creating a great paper free place for you to add and save your cues, music tags and beats per minute (BPM) to specific songs. The Class Tamer™ also includes an easy-to-read song timer, displaying time elapsed, time remaining, and prompting for next song. What I love the most is that it has options to allow for cross-fading (blending songs together which eliminates dead space), as well as the ability to modify the tempo of songs during a ride with a quick slide of your finger. You’ll also find a stopwatch that operates independently from the song timer and can be used while music is playing (perfect for intervals) and 10 creative sound effects to help add excitement to your classes (think the sound of a cracking whip to indicate the work phase of your HIIT training). 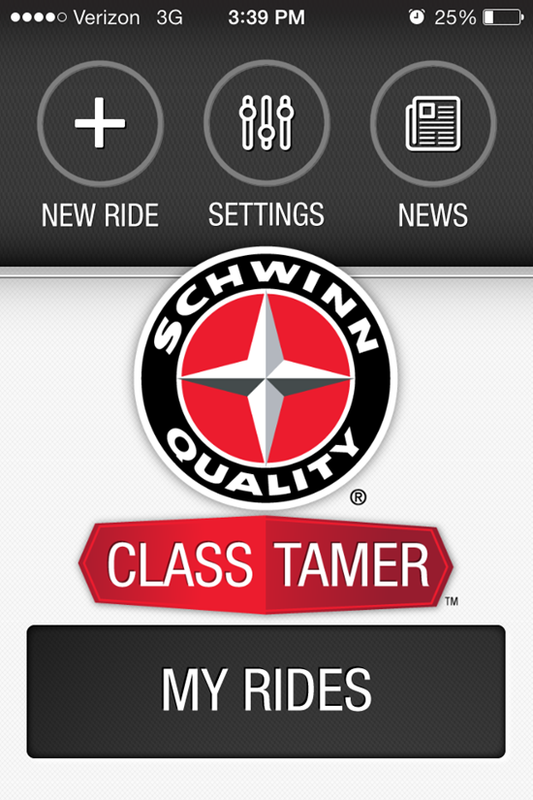 Syncing my first class using the Class Tamer™ was very simple, took no more time then usual and I loved being able to do it from the palm of my hand. I accessed the songs I already owned in ITunes and began planning right away. There are so many great features, but I’m most excited about the ability to add notes to songs (eliminating all my index cards of class profiles) and the ability to cross-fade from my IPhone (I hate dead space during a class playlist). As an indoor cycling coach who is frequently planning and creating new profiles, this will undoubtedly save me time and add some extra fun to my class. The BPM which you see in my top left box here is blank because this is not provided by the app. Instead the BPM needs to be inputted from the metadata (Get Info) of the track you download – also, the actually BPM will change if you use the slider to change the tempo, while the inputted data will stay the same, so some thing to keep in mind. My second downfall isn’t really to do with the app itself, but it does require your phone to be near your bike in order to access your notes, timer, sounds etc. As someone who tries to eliminate all trip-able items, having this extra wire is a slight concern as I like to coach from both on and off my bike. But also because at two of my current studios the music device is not located near the bike (I don’t like it this way, but it’s how the gym was built). So while this app will improve how indoor cycling instructors coach, you do need the infrastructure to help make it work. If you teach indoor cycling, boot camps, HIIT classes or any other group training – you need this app! Yup, it’s that simple.